Some of you may remember me telling you about getting cute little mini bottles from Boots and trying them out before you commit to buying...well I've done it again. This time it's the hair cupboard staple, dry shampoo. Leaves the hair feeling clean, healthy and looking fantastic. Girl you are ready to go without having to blow. Spray from about 16cm onto the root area that needs revitalising then vigorously rub away the powder with your fingers. I used this as instructed on the tin, the product itself felt lighter than any other dry shampoo I'd used, and I felt it absorbed quicker which in my eyes is a good thing. By the end of the day my hair was starting to go limp and look greasy, so whilst they may be great for a quick fix (night out, popping to shops) it's not got lasting power. Would I get it again? It's £4.99 for 150ml, which is pretty pricey when you consider Batiste is £1.49 for 150ml, so on price no I wouldn't. This didn't perform any differently from Batiste and I feel you are paying for the name. 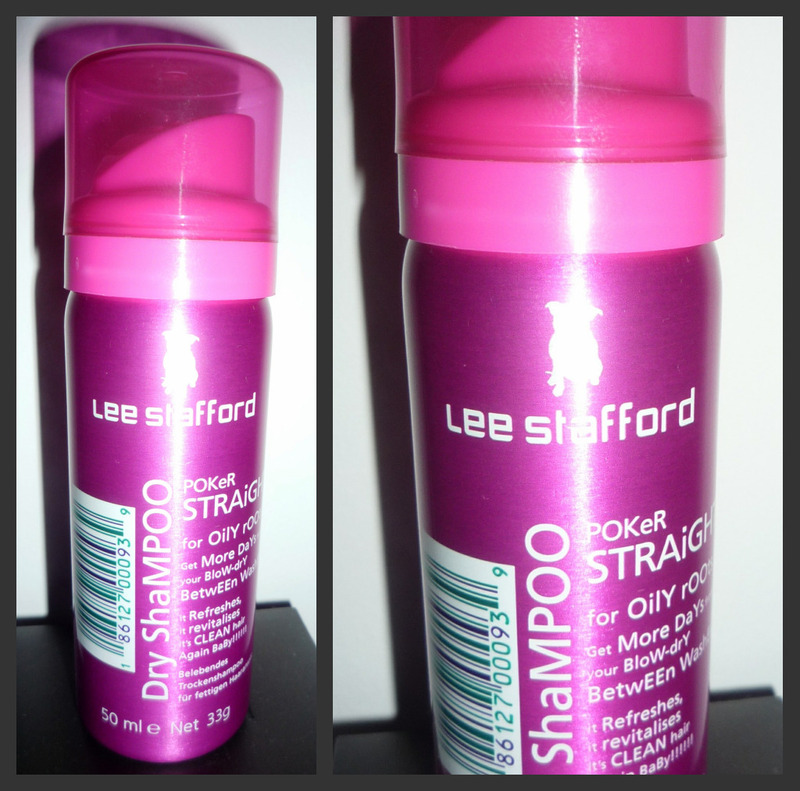 Disappointingly not my favourite Lee Stafford product. The smell is fantastic, I love the Lee Stafford product smell - I'd describe it as masculine and distinctive. And the packaging as always is eye catching and funky. The spray is easy to use and you don't get build up around the nozzle. I think this would be great to use for any up do's as it would add enough texture to the hair without too much product build up. Have any of you tried this? What did you think? Any recommendations for me to try next? It was my first venture into dry shampoo and I found it ok, but not great. I think Batiste is much more cost effective and seems a lot longer lasting so I'll be sticking with that for now. I'm currently trying the Superdrug own dry shampoo, it's getting the thumbs up so far!